Burger King said it will start serving hot dogs in its U.S. restaurants later this month, offering customers two varieties to choose from: classic and chili cheese. 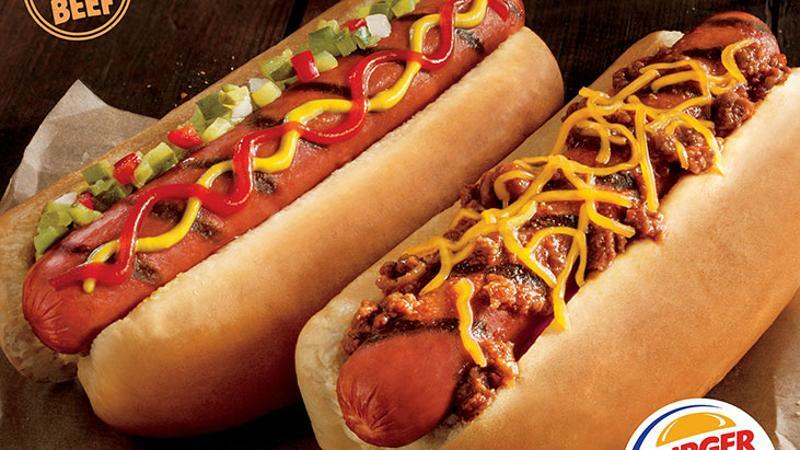 “The introduction of Grilled Dogs just made sense to our guests and for our brand,” said Alex Macedo, president of Burger King’s North American division, who told The New York Times that customers had long asked the chain to add a hot dog to its menu. Burger King already sourced most of the ingredients needed to make the addition, Macedo noted, save relish and buns. The flame-grilled hot dogs, which make their debut Feb. 23, will sell for $1.99 or $4.49 as part of a combo meal. New menu items have proven a recent boon to Burger King’s sales, as the chain’s Q3 comps rose 6.2 percent year over year thanks to its addition of Fiery Chicken Fries and an Extra Long Jalapeno Cheeseburger.